Zohar Davidovich (b. 1965) was born in Israel to a Romanian-Jewish family. He grew up in Rishon Lezion and studied at an IDF boarding school that trains future army officers. He was accepted to Israel’s prestigious flight academy, but ultimately failed to make the cut. Now going by the last name “Dvir”, he moved to the famous Golani Brigade. During 12 years of service with the unit, he rose through the ranks, eventually becoming deputy commander, and then head of reconnaissance. Dvir left the IDF in 1995 to work in private security, then joined Yamam, the “SWAT” division of Israel Police (in Israel, there are no local or municipal police forces, but rather a national police headquartered in Jerusalem). Yamam has been ranked among the top 5 special forces units in the whole world, and is famous for its daring raids, undercover police work, and counter-terrorism activity. (Click here to see Yamam in action.) Dvir was soon Yamam’s commander, and was in charge throughout the difficult Second Intifada. Once, he was on his way to inform a family of an officer’s death when he spotted a flipped-over car. While helping the injured driver, a truck crashed into them, killing the driver and leaving Dvir with critical injuries, including multiple broken bones and brain hemorrhaging. He woke up after five days in a coma. Yet, less than three months later, Dvir was back on the force. Under his command, the unit thwarted over 50 terror attacks, and neutralized several hundred terrorists, all without losing a single officer. 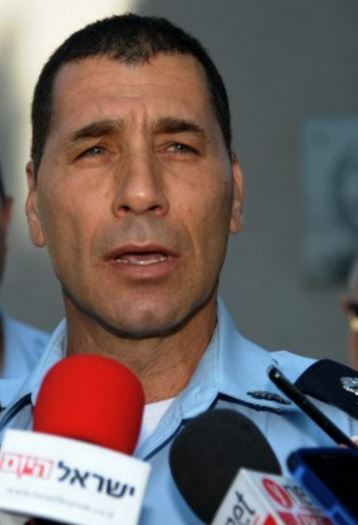 In the past several years, Dvir has served as major general in the Israel Police, and chief of the Northern District, and Coastal District. Last week, he was promoted to deputy commissioner of Israel Police. It is said that Adam Sandler’s secret agent character “Zohan Dvir”, in the film You Don’t Mess With the Zohan, was based on Zohar Dvir. Tonight is the 4th Night of Chanukah. Chag Sameach! This entry was posted in Law, Politics & Military and tagged Commander, Counter-Terrorism, Golani Brigade, IDF, Israel, Israel Police, Israelis, Police, Rishon Lezion, Romanian Jews, Second Intifada, Special Forces, SWAT, Yamam, You Don't Mess With The Zohan, Zohan on December 9, 2015 by Jew of the Week.